Running Belt – a comfortable, soft and breathable mesh insert at the back. 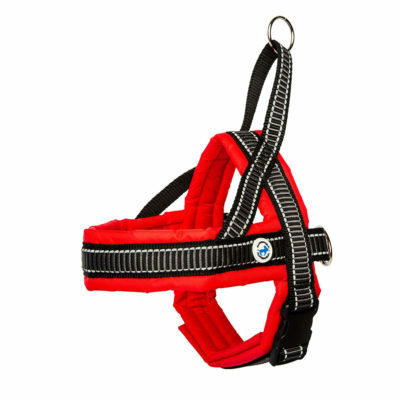 Reflective, for safety. 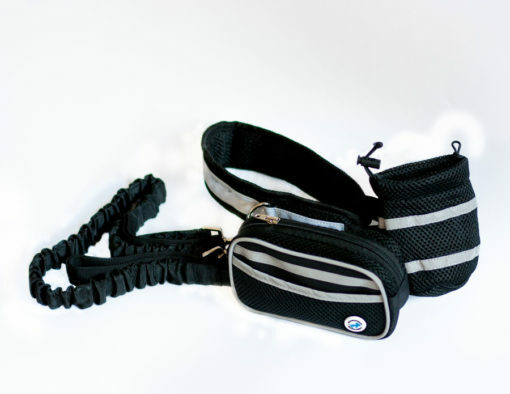 The set includes: a running belt, a small bag for delicacies and a bigger pouch for a phone, wallet or keys – specially attached transversely so that it does not hit the hip during the run. 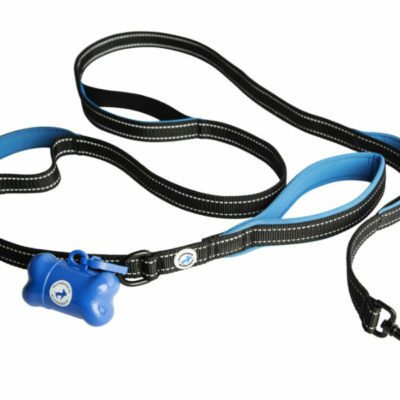 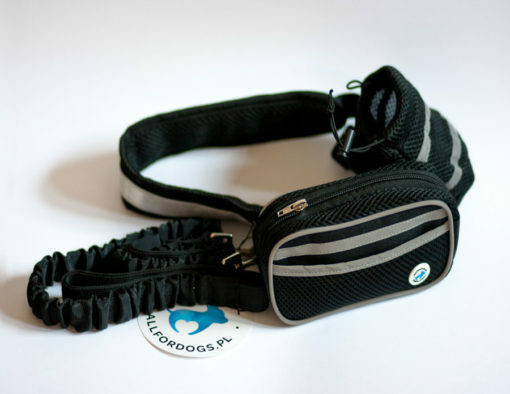 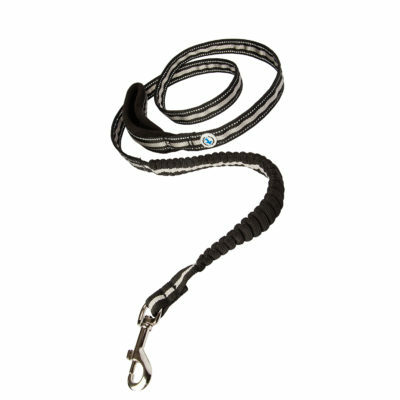 The 120cm leash stretches to 180cm.